Info City CU is a local organization focused on the wonderful goal of providing equitable and citywide access to technology, digital literacy, and relevant online content and applications. 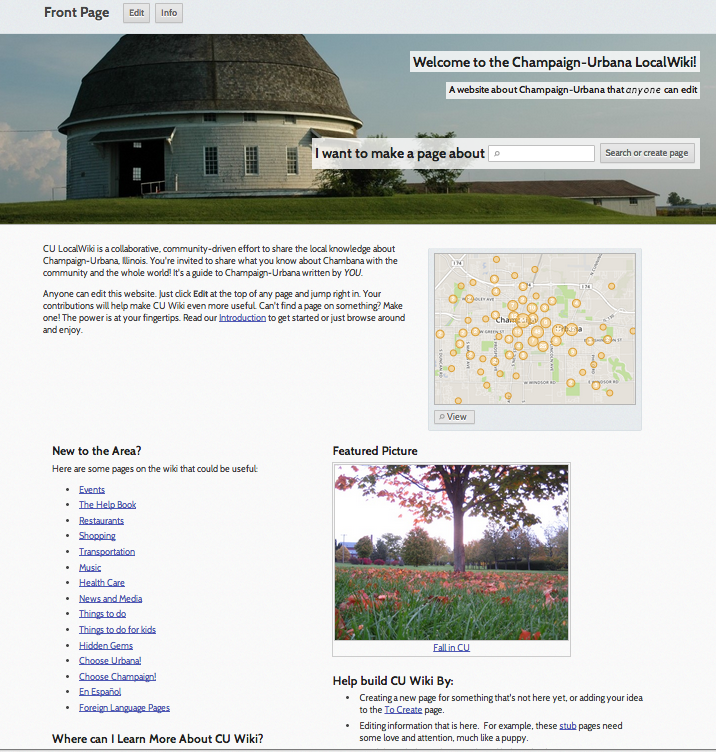 At this year’s Heartland Maker Fest they will be highlighting their new CU LocalWiki initiative, which is a collaborative, community-driven effort to share local knowledge about the Champaign-Urbana area. So if you have some interesting local knowledge you would like to share, head on over to the wiki and start creating or editing pages! Or if you would like to learn more about Info City CU and perhaps get some help creating a wiki page, stop by their booth at the Heartland Maker Fest! Hopefully all our wonderful Maker Fest participants will be on the wiki soon!